Enter both your cover message and accent color choice. MESSAGE: Max 50 characters, type NONE for no message. ACCENT: Cream, Tan, Kraft, Gray, Black, Yellow, Mint, Teal, Blue, Navy, Light Pink, Dark Pink, Orange, Lavender, or Purple. 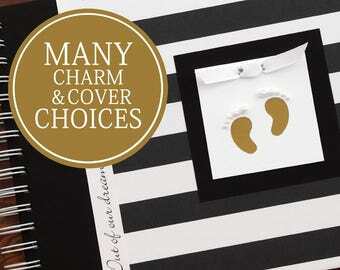 Charmbooks lets mommy-to-be capture all the memories from bump to baby! 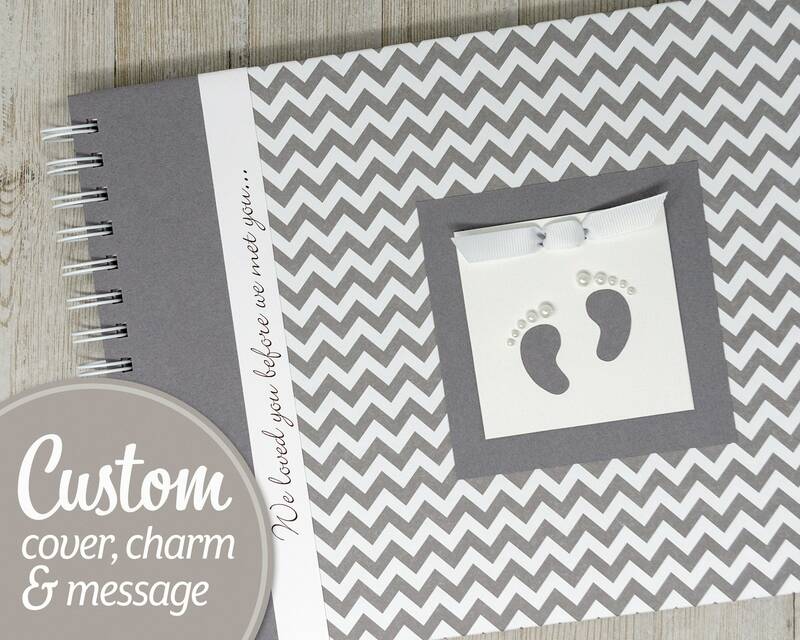 This personalized pregnancy journal features a Gray Chevron pattern and includes your choice of charm and accent color. If you like, other patterns are available in my Etsy shop. 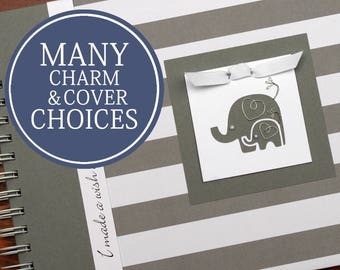 Choose an accent color for the left side of your cover and behind the paper charm: Cream, Tan, Kraft, Gray, Black, Yellow, Mint, Teal, Blue, Navy, Light Pink, Dark Pink, Orange, Lavender, or Purple. These books are great quality, and so precious! My mom bought me one for my twin pregnancy, and I LOVED filling it out as a beautiful memory of the precious moments from my pregnancy. I thought so highly of it that I purchased one for my best friend to have for her pregnancy - she also loves it! Wonderful customer service as well. It was ensured that colors and customization was correct before sending, and the shop owner followed up after it was delivered to ensure satisfaction. HIGHLY RECOMMEND! 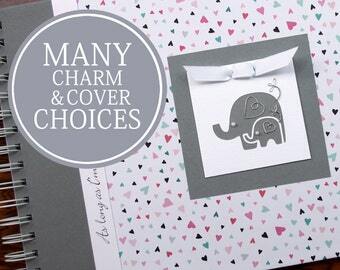 My kids and I all love this pregnancy journal! It arrived on time and it is of very high quality!